Michael is the President of Digital Authority Partners. He has brought his expertise in product management, product development and analytics... Show more Michael is the President of Digital Authority Partners. He has brought his expertise in product management, product development and analytics to multiple Fortune 100 companies. For a limited time, Digital Authority Partners is offering a FREE content & SEO audit to healthcare companies interested in assessing their current brand in order to build a robust content marketing plan for 2019. Interested? Drop us a note at [email protected] or call us at (312) 600-5433 for details. Healthcare marketing is tricky. But if it was easy, then everybody would be doing it. Whatever your product or service may be – if you’re in the healthcare industry and looking for healthcare marketing tips, you’re in luck. Healthcare marketing refers to the marketing strategies healthcare providers, insurers, suppliers and advocacy groups use to attract new patients and increase awareness of their healthcare business. What if I told you that there are 9 healthcare marketing trends for 2019 that will position your marketing efforts for succeed, guaranteed? Keep reading. Also, good things happen to those who wait (and read). If you’re trying to convince your boss to invest in healthcare marketing initiatives in 2019, scroll to the bottom of this article and download our infographic summarizing all points in this article. The days of placing a fancy banner or pop up ad are back in 2006 where they belong. In 2019 we have to focus on marketing for the present day – a time where content is king. In addition, with 20% of web users having ad blockers installed on their browsers, you’re throwing money away if you’re investing in ad placements. Here at Digital Authority Partners, we are firm believers that every company should think of itself as a media company first, with its unique value prop as a close second. In a world filled with noise, it’s never been more difficult to get your message heard. But that doesn’t mean you should stop trying, in fact it’s quite the opposite. It doesn’t matter what segment of the healthcare industry you’re in. Across the board, there is one simple reality: you have an audience who can buy your products or services. And that audiences goes online to educate itself before interacting and transacting with a vendor. Especially in the healthcare space, everyone is trying to learn something new. Whether it’s tips and tricks about technological advancements, new diagnostics options, or general industry news. And that’s where any healthcare marketer can come in, creating amazing content and saving the day by getting your brand in front of the right audience at the right time. Tangible example. Let’s say you’re a local clinic in a highly populated metro area. In this scenario, targeting long tail keywords such as commonly searched symptoms and ‘how do you know if you have…’ terms and you’ll get valuable search traffic to your website and business, as your domain ranking increases. One more tip: don’t just limit your content creation efforts to just your website. Content strategy is not only about writing & praying that your content will show up on the first page of search results. Also consider posting original content on social platforms and guest posts on other highly authoritative digital platforms. Whether that’s LinkedIn and Facebook or Instagram and Twitter – you’ve got plenty of platforms to choose from and you should be making the best of the tools available. If your healthcare website is not mobile responsive in 2019, you will get virtually no organic traffic to your healthcare business website. Unfortunately, it’s that simple. Google is on a huge mobile-first kick and there’s absolutely no going back at this point. As of March 26, 2018, Google has rolled out new algorithms for search results in the form of mobile first indexing. In simplest terms, Google decided to only show search results based on websites’ mobile version versus the web version. So any healthcare organization which doesn’t have a mobile friendly website will effectively be excluded from all search results except for their branded keywords (aka the name of the company itself). With a staggering 52% of web traffic coming from mobile in 2018, this change should not take anyone by surprise. And every healthcare marketer out there should make sure their company website and healthcare marketing approach is designed & executed with a mobile-first approach. Other things to consider when you’re revamping your mobile experience. If you’ve got a call-to-action on your pages, make sure the CTA is clear and easy to spot. Interested in redesigning your healthcare website? We’ve written an article on the top 5 design principles for healthcare website redesigns which you can access right here: 5 tips for healthcare website design initiatives in 2019. Bottomline: if there is one thing you do with your site in 2019, make sure it’s mobile responsive. Video marketing is the best channel for healthcare marketers to build trust and increase awareness around their healthcare business in 2019. There’s very little that can rival video when it comes to engagement; it’s why TV ads have been the holy grail of marketing in the past and why YouTube is as successful as it is. And in case you weren’t aware, Youtube is not just a video website. It’s actually a search engine. As another author pointed out, with over 4 billion searches per month, YouTube is bigger than Bing, Yahoo, Aol, and Ask.com, combined. With this in mind – healthcare marketers should really consider making video marketing front and center of your 2019 marketing plan. Whether you’re creating a 10 second ad to play before YouTube videos or creating a channel to promote your company’s vision, people and products – video is a marketing technique you really need to experiment with. Video can personalize your health brand and make it more approachable in an industry where people are often intimidated by doctors and medical equipment (think white-coat syndrome). With video, aim for quality and quantity combined – whether that’s from yourself or the media team (depending on company size) and don’t let perfection get in the way of ‘good enough’. There’s always a way to improve upon video content, but don’t fall into this paralysis of preventing content from being launched. Get good stuff out there and the performance over time will speak for itself. Anyone with a smartphone is a video-maker – so make sure to encourage every member of your marketing team to document anything that could provide value to your ideas customers. Tangible example: Orlando Health has a great series of videos on YouTube where doctors, nurses, and nurse practitioners talk about who they are, their work experiences, but also how different medical conditions are treated. They’re a fabulous example of health video marketing done right. Customers are omnichannel, and your healthcare marketing initiatives should be too. From online chatting, to contact forms & a prominent display of business phone numbers, healthcare marketers must reduce friction online and encourage patients to get in touch with healthcare businesses through all available channels. Whether it’s text messaging, chat bots, or the most basic of chat options that pop up on your site, there are many multichannel techniques healthcare marketers should consider implementing in 2019. Anything that offers a unique user experience and increases user engagement is key to the success of a health marketing campaign. The more touchpoint options you can provide your web or mobile visitors, the better your customer experience will be (and your engagement rates). Everybody is different and although some people may love to engage with chatbots, others may go to straight to Twitter or the Facebook page to report issues they have with your brand. Even the simplest option, a landline number, is a huge benefit on a site. Even if only a few will call your number, it’s critical to show your contact information prominently on your site. Keep your options open, appreciate your customers, and their choices and they’ll leave happier than they came. Online reputation can make or break your business – and marketing efforts. Make sure you control the narrative around what users say about your healthcare business online. And take corrective measures when needed. Your healthcare online reputation is imperative for the overall success of your business. Even if you’ve got the best product around, if your company has a less than stellar reputation online – you’re unlikely to keep an audience or create conversions. One in three American adults have gone online to figure out a medical condition. 47% of Internet users search for information about doctors or other health professionals before engaging with a health business. 38% of Internet users search for information about hospitals and other medical facilities. The most commonly researched topics are specific diseases or conditions; treatments or procedures; and doctors or other health professionals. Trust is the single most important factor when it comes to getting new customers for your health business. With so many users searching for health providers online, you need to make sure that your brand is one that can be trusted. Make sure that your site looks professional and gives the correct advice when possible. Make your reputation speak for itself to keep your audience keep coming back and using your site as a base for healthcare in your chosen area. And if you have a less than reputable image online (like mixed reviews or articles about your business which portray you in a negative light etc), consider getting professional help to ensure your online image can support your marketing efforts. Social media, when done correctly, can increase a healthcare brand’s affinity, online engagement rates, and long term user retention. 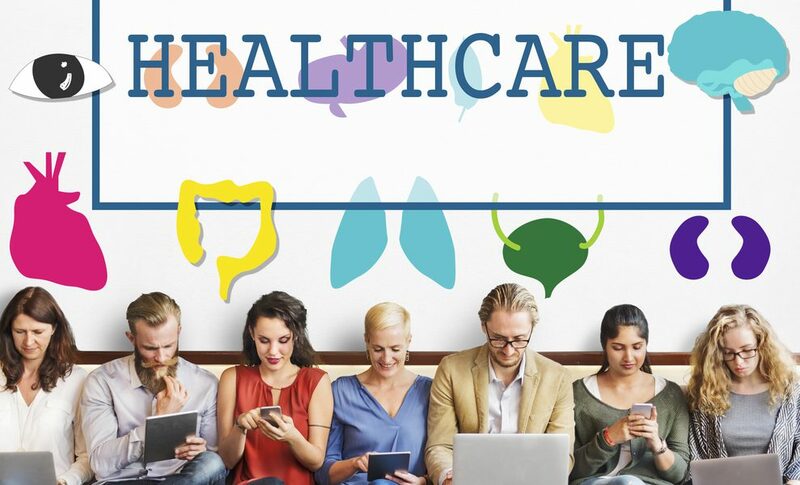 Healthcare marketing is a sector where social media is rarely used and many marketers are still struggling to implement strategies that are effective and in-line with their business objectives. The use of social media is heavily lifestyle based, but don’t let this stop you if you feel your brand or product doesn’t fit neatly into that category. You can still gain followers with clever posts, showing your content & thought leadership to your target audience and build awareness around the brand. Influencers exist throughout for healthcare marketing space and it’s often just a case of finding the right one to link up and represent your brand. For a well respected healthcare brand, choose well respected influencers to showcase your products and share your company message. Not sure where to start? Read our Ultimate Guide to Influencer Marketing. Location-based SEO is great tool for every healthcare organization with a local branch. 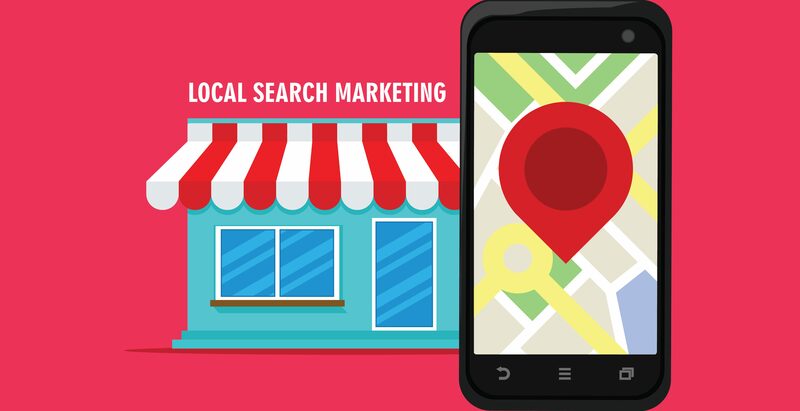 If your healthcare business has a physical location, there’s nothing that better supports your marketing efforts than location-based SEO and geotagging your location in posts. Creating content that is location-specific is a great way to get targeted users to come to your website or mobile app. 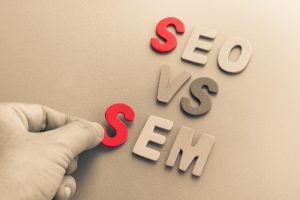 Many healthcare marketers in 2019 use long tail SEO search terms to create content their customers would resonate with and to get qualified local traffic to their digital platforms. So, for example, if you’re in Houston, Texas and you run a dental practice – it’s a smart idea to run marketing campaigns and create unique content around topics like: ‘best dentists in Houston’ or ‘dental procedures in Houston’. Other examples may include ‘Dental care Houston’ or even more specific ‘Where is the best dental practice in Houston, Texas’. Ranking for all these keywords on the first page of search results will generate valuable and qualified traffic to your dental practice. Another example can be around Facebook area specific ads and geotagging locations on Instagram. Both are great tools for businesses to leverage social media posts around getting local traffic to your front door. This way, users checking out your pics and posts are ones you really want as your future customers. Advanced analytics & artificial intelligence can help healthcare marketing initiatives get in front of the right customers, at the right time, with the right product. 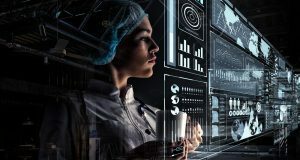 All expert healthcare marketers should consider leveraging advanced analytics and artificial intelligence techniques in their marketing plans in 2019. Using analytics and AI isn’t anything new, but for a lot of companies looking to make a splash, it could be a welcomed change. Using the simplest of tools such as Google Search Console is a great start to understand consumer behavior when it comes to the healthcare sector. You can judge a lot about your audience by their behavior, by looking at user heat-maps, search terms, and user activity to optimize your marketing campaigns over time. With user trends readily available (and your competitors are probably already in on it), there’s never been a better time to jump in and getting a better understanding of your users with AI algorithms. Leveraging wellness as a talking point in your healthcare marketing campaigns will align your business objectives with what customers care about. And it could score you some great PR and earned media too. Wellness was one of the most popular trends in sweeping the healthcare industry in 2018. Consumers are fascinated with the idea of living healthier lives and although some healthcare companies are already creating content about wellness, this year, hospitals will need to step up their game in this space as well. Creating content that helps your ideal customers live better and healthier lives is a great way to make an impact in your niche. For example, Blue Cross Blue Shield recently made the news when it announced they would be providing Fitbit wristbands at a discount to each of its members. In this article, we discussed the most powerful healthcare marketing techniques any marketer should consider implementing in 2019. Are you confused about how all these strategies come together into a cohesive strategy? Check out our step by step Healthcare Marketing Plan Guide and Our Healthcare Public Relations Guide. 2. Make sure your website is mobile responsive: If your healthcare website is not mobile responsive in 2019, you will not get any organic traffic to your business. 3. Use video marketing to attract new patients and healthcare customers: Video marketing is the best channel for healthcare marketers to build trust and increase awareness around their healthcare business in 2019. 4. Invest in multichannel initiatives & customer touch-points: Customers are omnichannel, and your marketing should be too. 5. Invest in your online reputation: Online reputation can make or break your business – and marketing efforts. Make sure you control the narrative around what users say about your healthcare business online. 6. Use social media like a pro for your healthcare marketing campaigns: Social media, when done correctly, can increase a healthcare brand’s affinity, online engagement rates, and long term user retention. 7. Invest in location-based SEO: Location-based SEO is crucial for every healthcare organization with a local branch. 8. 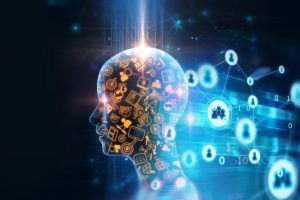 Advanced analytics and artificial intelligence: Advanced analytics & artificial intelligence can help healthcare marketing initiatives to get in front of the right customers, at the right time, with the right product. 9. Jump on the wagon with this year’s primary consumer focus: wellness: Leveraging wellness as a talking point in your healthcare marketing campaigns will align your business objectives with what customers care about. Also, as promised, here’s an infographic that will help you convince your stakeholders to invest in content marketing for your healthcare business in 2019.